Glen is a complete professional. His ability to understand and deliver what the client wants is phenomenal.. a consistently great experience . I've been seeing jess for some time now and she is the only hairdresser I have stuck with in London. Normally I wouldn't spend this much on a cut but I think jess is worth it. Always does a great job and is super friendly. Always a wonderful service and great cut . I had a fabulous moment feeling 100% pampered at Andrew Jose salon. My stylist was Krizia, lovely person and very talented, I was so happy with the result of my hair cut that I walked out feeling like a holiwood actress!. The service was great, taking your coat, offering you something to drink and making sure you are looked after. Can’t see anything negative really, everything was perfect, thank you Krizia! Absolutely amazing. I always have the best experience at this salon. Any man looking for a hair revamp get yourself to Andrew. Friendly, relaxed and a new cut that I’m enjoying a lot. Never going back to a £7 mr. Chop again. So friendly and clean and the hair wash/massage put me straight to sleep. So worth it, get yourself there. Any man looking for a revamp needs to see Andrew. So so friendly and if you put your trust in him he will deliver. Salon is so nice, clean and everyone there is delightful (also..the hair wash/massage puts you to sleep). Get urself there! Been a customer for 10 years and as usual not disappointed! I’m quite fussy with my hair and curls and Andrew instructs each stylist what to do it’s the personal touches that count! Kritzin who also has curly hair is fab! My hair feels soft smooth and amazing and the head massage!!! Came in slightly stressed left feeling amazing! Andrew also cut my sons hair which is super curly too and my son is also a happy customer! Always 5* treatment and professional.. cannot recommend enough. I adore Eveline.. she just gets me and my hair! What more could you ask for? For someone like me who is nervous about my hair getting a cut is an emotional journey. Evelina is a consummate professional and made me feel so comfortable leaving me with the best cut I’ve ever had. The staff at Andrew Jose are brilliant and now getting a cut is a highlight of my month. Always a pleasure to visit Andrew Jose. Always excellent. 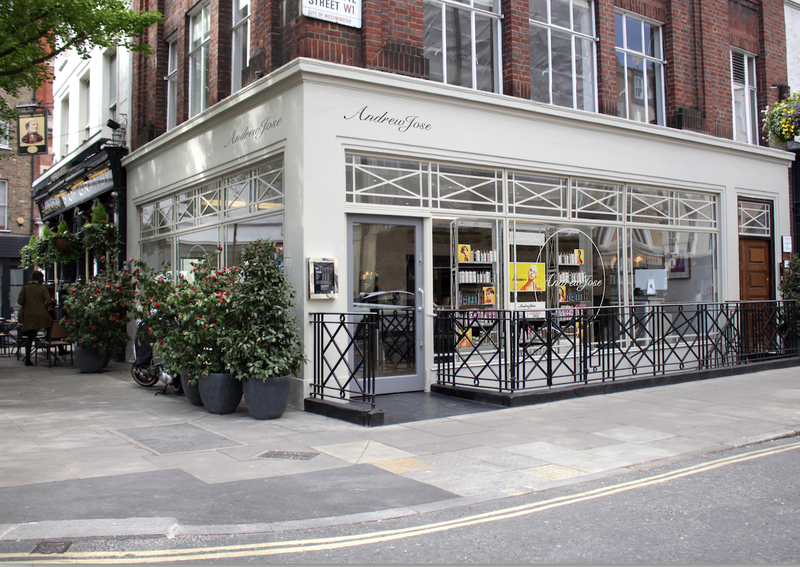 I flew half world all the way from Dubai - i am staying only one day in London and i took an appointment two weeks ago with Andrew Jose salon. I explained on the phone i wanted roots, colour and maybe fashion colour and blow dry. I have arranged all my schedule according to the appointment time and came straight from the airport. And to my surprise they’ve booked me for only half an hour, for roots only!!! Unbelievable! And they didn’t even try to accommodate anything! The hairdresser, Jessica, was like “i only have half an hour”. Let’s assume i accepted to do my roots only, what would have happened afterwards, blow dry it myself?!! I DO NOT RECOMMEND THIS PLACE TO ANYONE! Sadly you chose to leave the salon. Andrew Jose and his charming team understand colour and cut . A first class experience , in a beautiful environment at a reasonable price. I cannot recommend this salon highly enough. They’re good. I found this salon in time out and I’m so glad I did. I just had my hair coloured pre wedding and the stylist really listened to what I wanted and I’m very happy. She even tidied my hair and layers up. Fantastic salon great service would highly recommend. Not that I have that much to cut :) but andrew’s team is always amazing.